This year Rust & Company CPA’s will be a drop-off location for End 68 Hours of Hunger. They will be taking food items at our office throughout tax season this year. 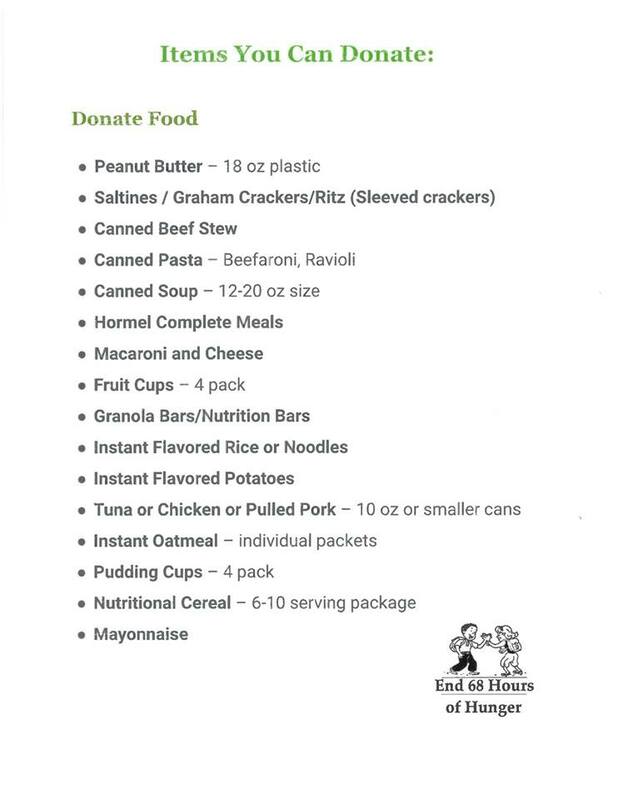 Below is a list of accepted food items. Please consider bringing in a food item or two when you come into the office. For each item donated, you will receive a raffle ticket for a $100 gift certificate to one of several great local restaurants.